These fish are amazing. They can swim from Japan to California and back again over the course of a few months. They can swim as fast as greyhounds can run full tilt. They are as long as LeBron James is tall, and can easily weigh over 500 lbs (2x his weight)! But they are disappearing, hunted to oblivion by international commercial fishing fleets. Scientific studies estimate the Pacific bluefin tuna population are below 3% of their historic levels - and so far all the efforts to conserve the species are voluntary. At the beginning of the year, the season's first Pacific bluefin sold at Japan’s world famous Tsukiji fish market for $1.76 million. The financial incentive to catch these fish is undeniable. 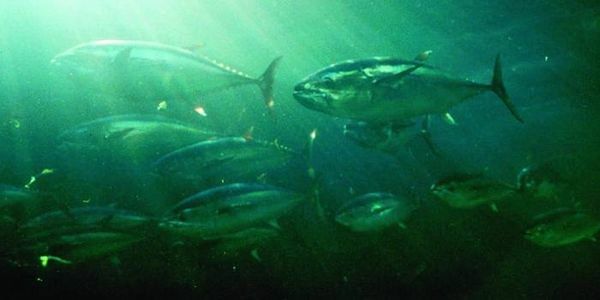 Given the enormous fishing pressure, and long reproductive time for the fish, most Pacific bluefin that are caught are juveniles, and have not even reproduced before they are caught and killed. Without major changes to limit fishing, the species will never recover. It's past time put more significant protections in place. Sign our petition to the U.S. Department of Commerce and NOAA Fisheries to urge the government to listen to the dire scientific outlook for these animals, and declare the species endangered. Without that step, U.S. fisheries managers will not have the tools needed to protect these fish.